Mount San Jacinto Park is one of the things I love about Palm Springs. 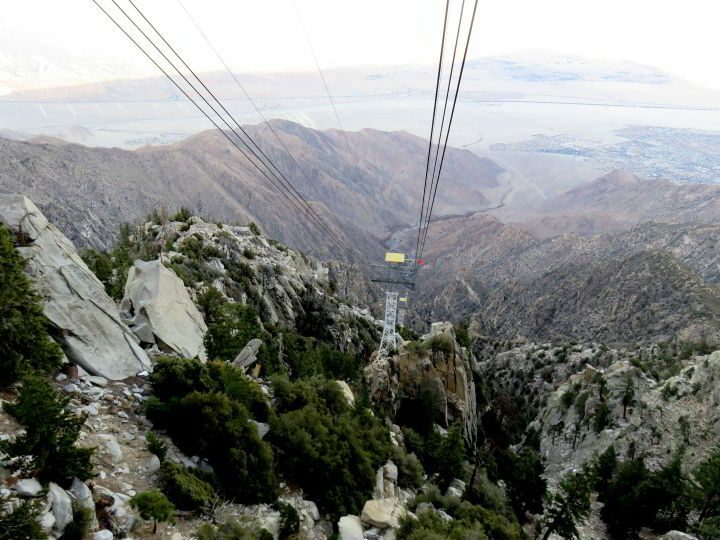 You can go from the desert to 8,516 ft (2,596 m) elevation in the mountains within a 10-minute tramway ride up to Mount San Jacinto State Park. Visit the park for hiking, stunning views, a picnic lunch in the mountains, or dine in one of the restaurants. And in the winter months it is possible to try snowshoeing or cross-country skiing but check for weather and snow conditions in advance. I chose Palm Springs as my nomad home for the month of December and a trip to Mt San Jacinto State Park is something I recommend to anyone visiting the area. Also if you have time I also recommend a day trip from Palm Springs to Joshua Tree National Park. 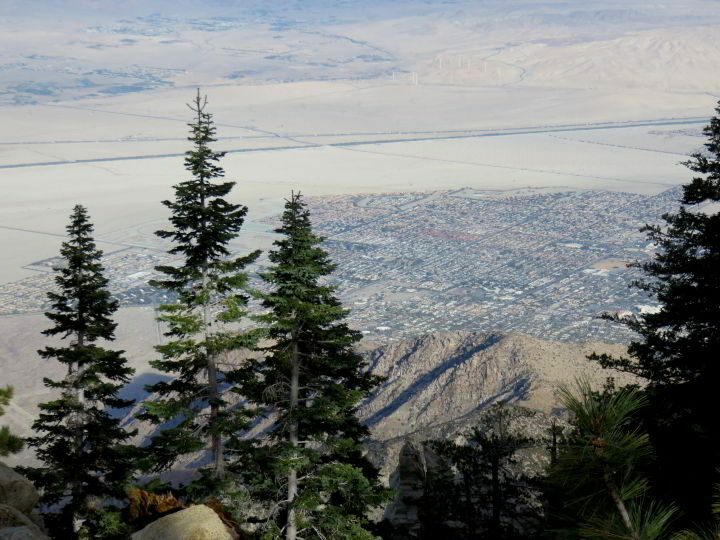 Even if you are only in Palm Springs for a weekend then I would suggest visiting Mt San Jacinto Park. The panoramic views of the Coachella Valley are gorgeous. 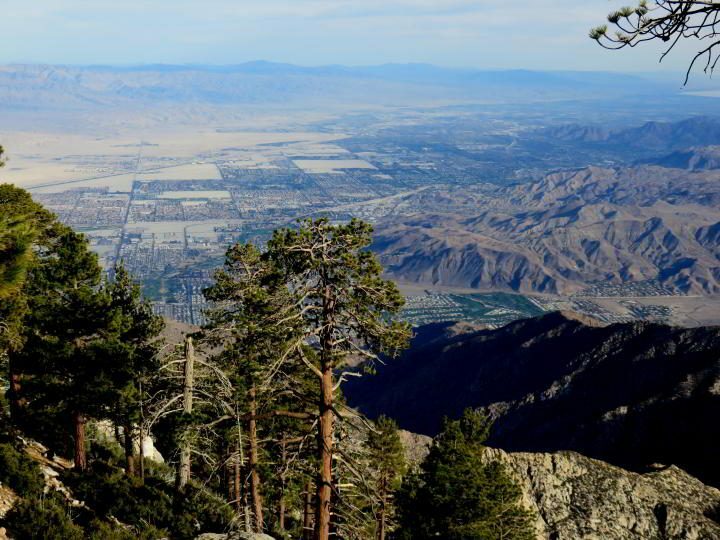 In addition, the San Andreas Fault is visible from Mt San Jacinto. 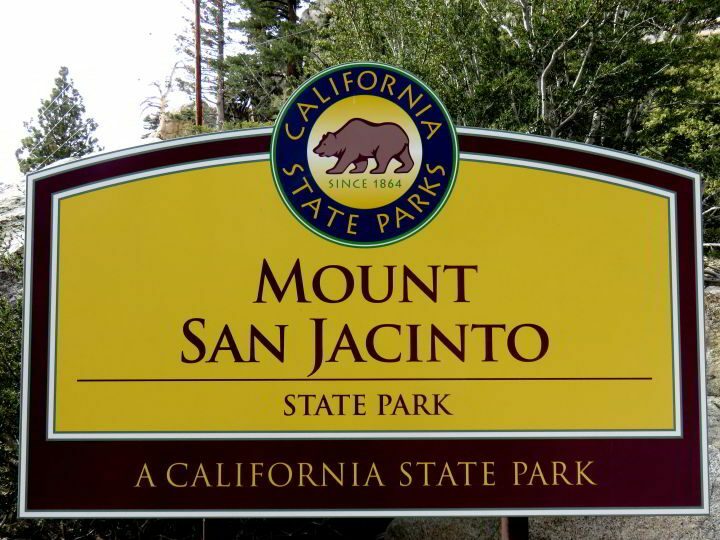 Note that the aerial tramway cars to Mt San Jacinto State Park are wheelchair accessible so people with limited mobility can also visit the park via the tramway. If you prefer to skip the tramway experience and drive from Palm Springs to Mt San Jacinto State Park you can take Hwy CA-111 North to I-10 West to Hwy 243 South to the park. Seems like it would take around an hour with normal traffic. Google maps seems to have some difficulty with providing driving instructions from Palm Springs. I received the error message: Sorry, we could not calculate directions from “Palm Springs, CA” to “Mount San Jacinto State Park, 25905 California 243, Idyllwild, CA 92549“. Well at least Google said sorry. I rented a great condo in downtown Palm Springs with Airbnb (If you haven’t signed up yet – click for your FREE $40 credit) The drive to the tramway parking lot was only around 15 minutes. Note that there is a $5 fee for parking in the Aerial Tramway parking lot (residents of Coachella Valley receive free parking – must show photo ID with resident address). One thing about the Palm Springs Aerial Tramway that takes a little getting used to is the rotating floor of the tramcar. Evidently this is the largest rotating aerial tramway in the world. According to a CNN article there are only three rotating aerial tramways in the world – the other two are located in South Africa and Switzerland. 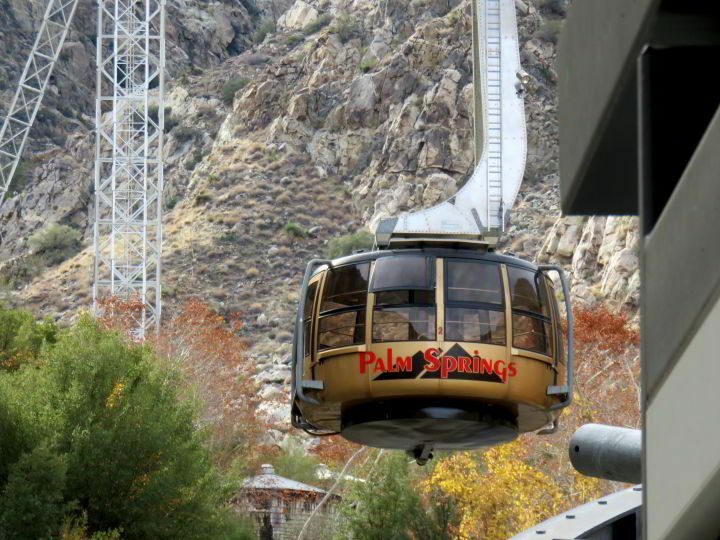 At the station I noticed the cars of the Palm Springs Aerial Tram are from Switzerland. When I chose Palm Springs as my nomad home for December I didn’t think I would get even the tiniest glimpse of snow. On the tramway ride up the mountain I spotted a bit of snow here and there. A week later there was a decent snowfall in the mountains so you could actually go from shorts to snowshoes in Palm Springs! 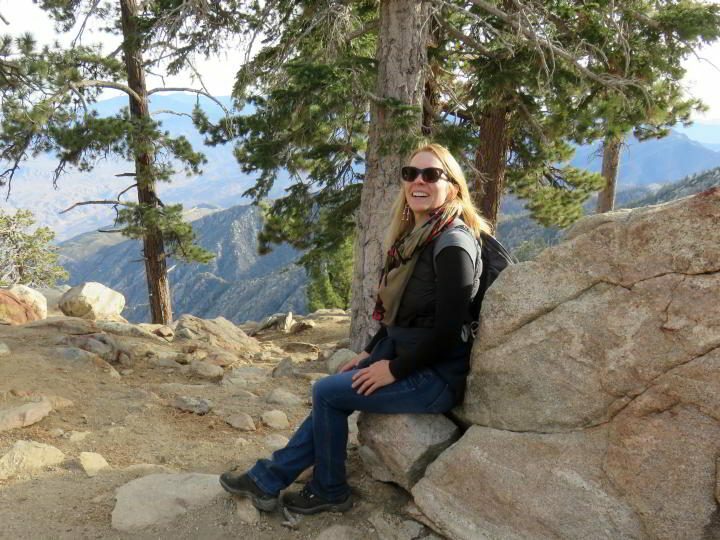 I took in the panoramic views at Mt San Jacinto before sitting down to lunch at the Peaks Restaurant. The grilled salmon with salad and white beans was a tasty meal before heading out to the scenic hiking trail. 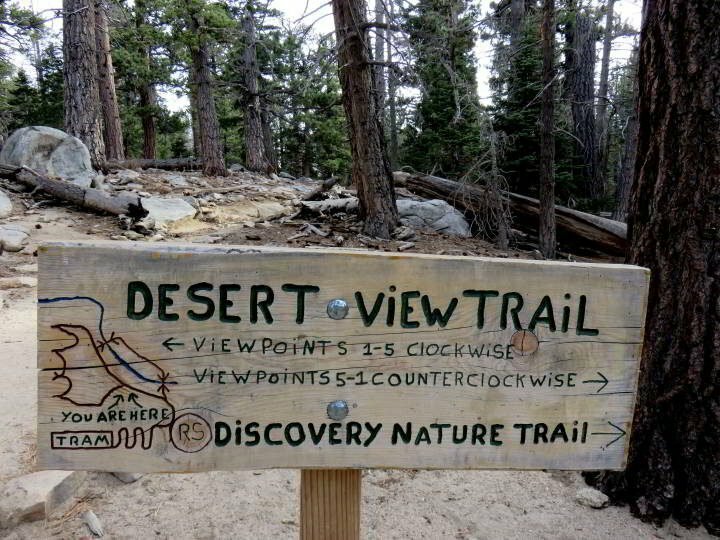 I loved the Desert View Trail with 5 scenic view points marked along the trail. Jeffrey Pines are grand coniferous evergreen trees with a wrapping of thick bark giving the trees a striking texture. 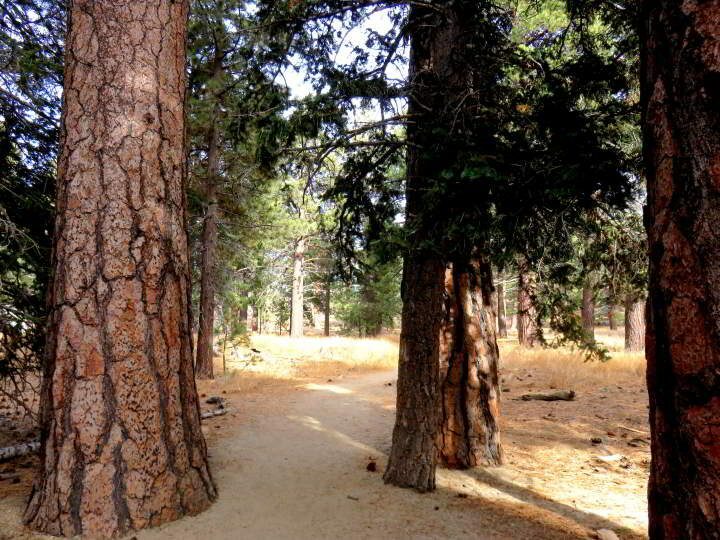 A sign along the trail invites visitors to get up close to sniff the scent of the Jeffrey Pine. Try it yourself and see if you smell butterscotch. This scent comes from the resin in the trees. All prices as of April 2019. Check the official California State Parks page for more info on camping, as well as the Mt San Jacinto State Park Facebook page. Palms to Pines. I remember that is how they advertise this tram ride. So surreal seeing the different climate regions so soon together. Surreal it is! It was cool to experience the change in ecosystems in such a short amount of time. When I was in Tucson I drove up to Mt Lemmon which a similar elevation to Mt San Jacinto tram – but it took a lot longer than 10 minutes to go from desert to mountain! There is also the Palms to Pines Scenic Byway which is a 130-mile (round trip) scenic road trip from Palm Springs. This is not what most of us associate with Palm Springs, but it is impressive. 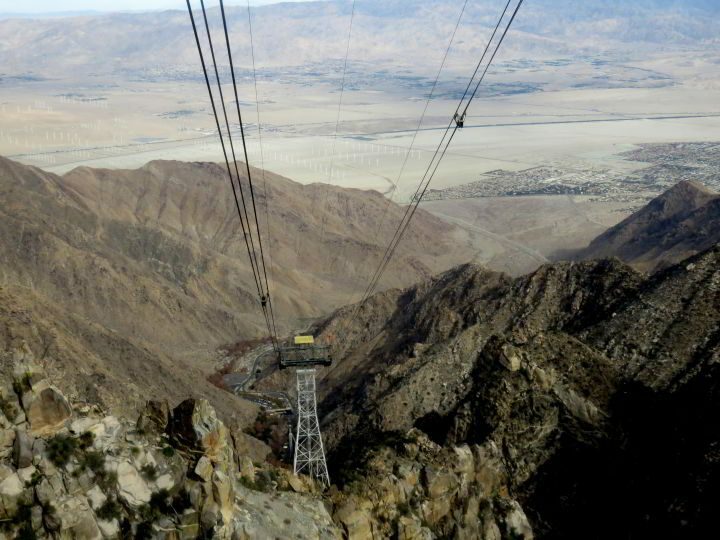 I’m not sure I’d feel comfortable on the tramway (the rotating floor would unnverve me), but Mt San Jacinto State Park certainly looks worth getting to. It’s been years since I lived in California and visited the Palm Springs area but I remember trips to both Mt San Jacinto State Park and the Joshua Tree National Park and how unique each park was. 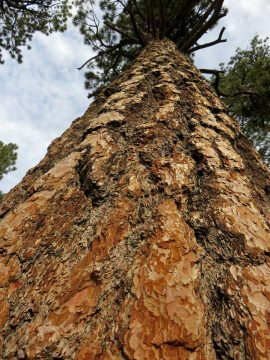 I love your photos of the Jeffrey Pines especially the one looking up to its crown – it’s easy to see the rough texture of its bark. I do like Palm Springs and will be returning in April. Your post was timely for me! Wonderful Carole! I hope you enjoy your trip to Palm Springs! Many don’t realize that there is so much eco-diversity in the area of Palm Springs. Mt. 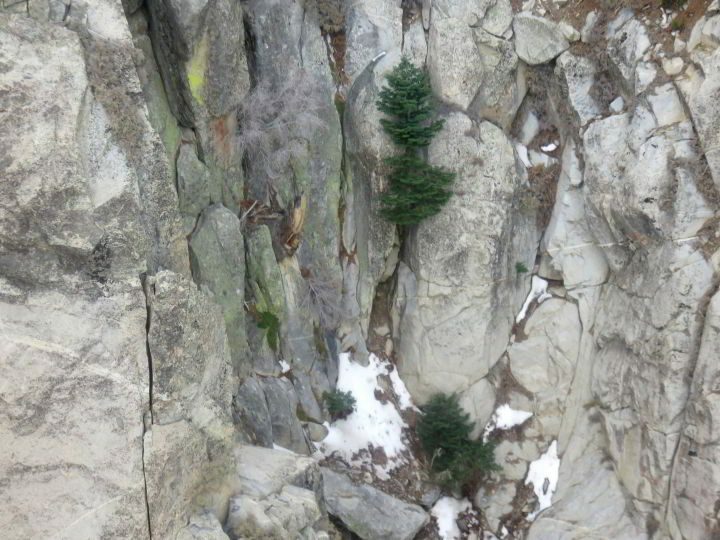 San Jacinto is stunningly rugged and a great way to cool off a bit from the higher temps in the valley below. I love Palm Springs and enjoy making use of our timeshare there when we can. It looks surprisingly cold up in those mountains, I would love to hike around that area and scout out some magnificent views. Thanks for the tour. Noel it’s beautiful atop Mt San Jacinto – you would enjoy photographing the area – gorgeous panoramic views and great hiking among the Jeffrey trees – check it out sometime!